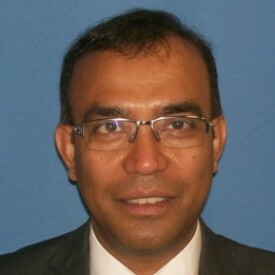 Mr Biswajit Ray is a Consultant General and Oncoplastic Breast Surgeon. His sub-specialty interests include reconstructive breast surgery. I completed my medical training and general surgical residency training in New Delhi, India. I moved to Yorkshire in 2000 and undertook basic surgical training in Hull and East Yorkshire Hospitals NHS Trust. I then undertook basic sciences and clinical research at the University of Hull, culminating in an MD (Doctor of Medicine). I completed my higher surgical training in general surgery at the Yorkshire and Humber Deanery. Following this I completed a fellowship in reconstructive breast surgery at Canniesburn Plastic Surgery Unit in Glasgow. I then undertook another fellowship in oncoplastic and reconstructive breast surgery at University Hospital of South Manchester, Wythenshawe, to gain further experience. I started working at Harrogate District Hospital as a Consultant Surgeon in August 2014. Correction of contour deformity following breast conservation surgery using scar revision, liposuction and fat grafting.